What's The Deal With Flappy Bird And What's A Swing Copter, Anyway? Take a quick history lesson about Flappy Bird, its creator, and the newest Swing Copters craze. 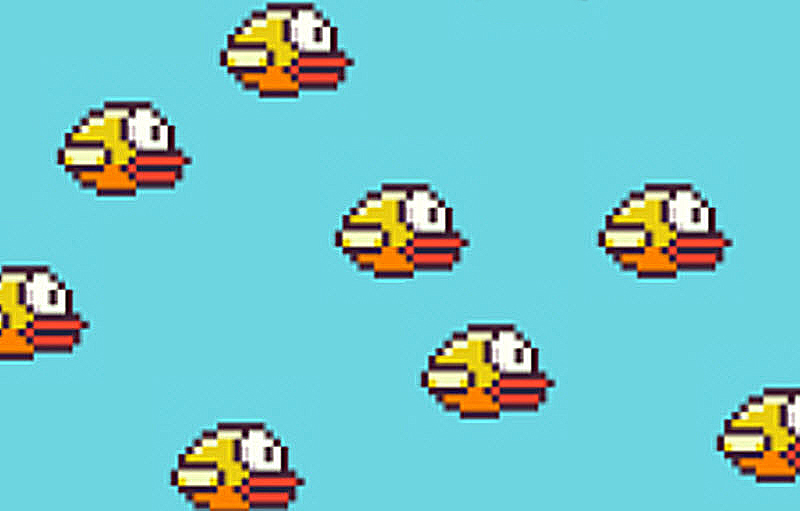 The game was called Flappy Bird, and it took the entire mobile gaming community by storm. It featured pipes that looked as though they were ripped straight out of a Mario game, a terrified fish, and some of the most simplistic but maddening gameplay this side of the App Store. But the creator, Dong Nguyen, was laughing all the way to the bank as an astronomical amount of players downloaded the game, created buzz, copied it seven ways to Sunday, and gave it so much attention that Nguyen himself became withdrawn from the very industry. This lead to his pulling the game from the App Store and Google Play Store, with harassment over the frustrating game reaching critical levels. The game was only made available again this year to mobile users, but in its absence there were so many clone and wannabes that it wasn't so sorely missed -- especially since it was so readily available on devices that had downloaded it previously and the internet. Nguyen had brought in a reported $55,000 in ad revenue every single day thanks to the numerous downloads of Flappy Bird, but he cited the stresses of success as being too much for him to handle at the time -- understandable, given the astronomical success of Flappy Bird and the torrent of responses fans unleashed upon him on Twitter and other social media channels. But now, with the release of Swing Copters, Nguyen has returned to the app-creation game, and is likely hoping to avoid all of the mess that came with the outright phenomenon that was Flappy Bird. Swing Copters is already channeling the popular game in several ways (check out our review for the rundown), but it's actually much, much harder than its predecessor. What are Nguyen's plans for the future? How much ad revenue (and revenue, period, to get rid of ads) will he end up making off of his new brainchild? How many broken iPads and Android tablets will it spawn? Only time will tell -- for now, excuse us. We've got some Swing Copters to play.